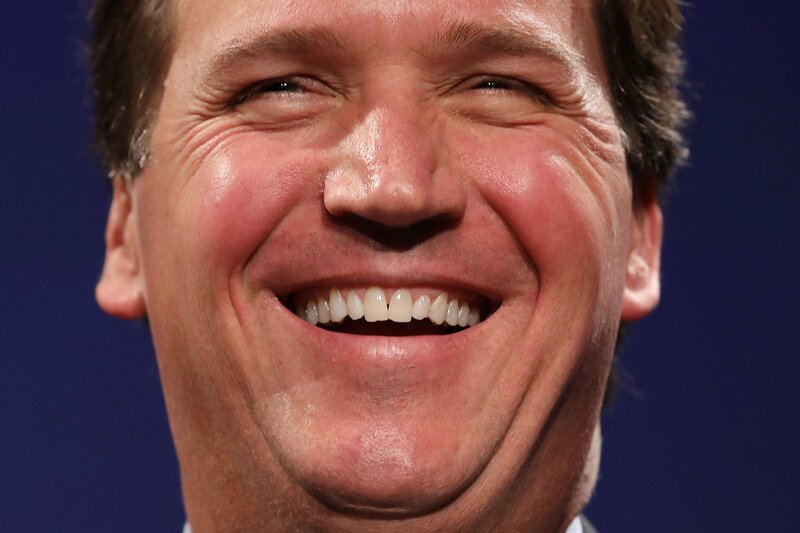 Fox News host Tucker Carlson played down the threat of white nationalism during his show on Wednesday night, dismissing such concerns as an electoral ploy by the Democratic Party. Yet research by the anti-extremism group the Southern Poverty Law Center recorded 1,020 hate groups operating in America during 2018, a 30 percent rise since President Donald Trump launched his campaign in 2015 and a record high. Carlson said the word "racist" has been for a long time in American life a damning slur against someone, but claimed it now lacks power because of misuse by people on the left who apply it in bad faith against their rivals. Carlson played a clip of Stacey Abrams, a rising star in the Democratic Party and a potential 2020 candidate, accusing Stephen Miller of white nationalism. Miller is an adviser to the Trump administration who pushes for hardline policies on immigration that critics have labeled as racist. Abrams was echoing comments by Rep. Ilhan Omar, a Minnesota Democrat, who also accused Miller of being a white nationalist. Miller was one of the architects of the so-called “Muslim ban” and also the sharp rise in migrant family separations at the southern border. Carlson also played clips of talking heads on various media shows calling President Trump a white nationalist and accusing him of fanning the flames of white nationalism in America through his rhetoric—such as referring to undocumented migration as an invasion—and policies. “You'll notice that none of these dumb people pause even for a second to explain to you what a white nationalist is,” Carlson said. “You probably still don't know. And, honestly, neither do we. And that's because there are so very few of them in this country. There are probably about as many legitimate white nationalists in America as there are Russian spies. When the Southern Poverty Law Center released its hate groups report in February, it warned that some extremists were now losing faith in Trump having perceived him as a kinsman in their white supremacist beliefs. “Trump has given voice to the rage and paranoia of white supremacists, and now there is a very real danger that as extremists lose the hope they saw in his presidency, some will lash out against the people he has demonized and blamed for America’s problems,” Heidi Beirich, director of the center's Intelligence Project, said at the time. The president recently denied that white nationalism is a rising threat across the world in the wake of the Christchurch massacre at mosques in New Zealand, which was carried out by a white nationalist.